The answer appears to be nothing. Other federal immigration agencies that, like ICE, fall under the Department of Homeland Security (DHS), are no strangers to scrutiny, including Customs and Border Protection. In 2017, Olivia was apprehended at the U.S.-Mexico border after migrating to the United States from Guatemala. The 24-year-old was seven months pregnant, a fact she immediately told federal immigration officials. 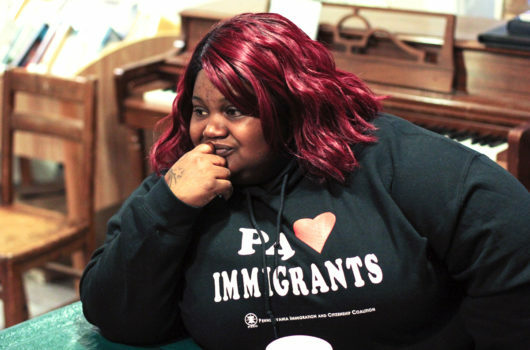 Olivia, who did not want to use her real name for fear of retaliation, told Rewire.News through a translator that at the second detention center in Texas that immigration officials took her to, she failed to receive adequate care while experiencing pregnancy complications. As she was in “horrible pain,” Olivia said her cries for help were not taken seriously. There is no way to describe the “fear and panic” she felt, Olivia told Rewire.News. It was her first pregnancy. She was in a new country, detained, and no one was communicating with her in her language. On top of it all, she was going to give birth prematurely. Under the Trump administration, there has been a marked shift in how Immigration and Customs Enforcement (ICE) treats pregnant migrants in federal custody. At the same time, miscarriages experienced by migrants in detention have nearly doubled. Since September 2017, ICE has been moving away from its previous policy that pregnant migrants “generally not be detained.” The Hill confirmed in March 2018 that ICE was indeed operating under a new directive, first issued in December 2017 by the agency’s former director, Thomas Homan. So rather than releasing pregnant migrants within 24 hours of a positive pregnancy test, pregnant people are being detained indefinitely as they await court dates or are released at ICE’s discretion. This process can take months. While in ICE’s custody, many pregnant people have reported complications from what they described as inadequate medical care in the facilities. It’s no surprise, given that medical care in detention centers is provided by private companies that have hundreds of complaints of negligence for issues “resulting in deaths and untreated injuries of countless people,” Yahoo News reported in October 2018. But ICE’s current policy only serves to exacerbate the problem, as Olivia’s story, and others like it, show. The agency, for its part, doesn’t appear to be doing anything about it. Olivia experienced ICE’s new policy firsthand. She said not only did she experience pregnancy complications while in immigration detention, but officials at the facility were also negligent when they failed to take her pain seriously. At the first detention center immigration officials brought Olivia to, she received a “basic” checkup, she told Rewire.News. Medical staff took her vital signs and asked general questions about her health. They also told her she’d have weekly checkups and receive prenatal vitamins. These things never came to fruition, however, because she said she was transferred before the prescription for her vitamins had been processed. “I didn’t know this was labor pain,” Olivia said. On her fifth day at the detention center, things came to a head. Quiet hours began at 10 p.m., and for three hours, Olivia said, she writhed in pain in her bunk. Her discomfort was so severe she said she couldn’t sleep or “think straight.” At 1 a.m., when detention center staff wake up some women to take medication, Olivia informed an officer she was in extreme pain. The officer told her the medical clinic was closed and that clinic staff would have to see her the following day. She added that she would try to get a nurse for Olivia. “By 2 a.m. the pain was getting worse and I told the guard, ‘I can’t stand this pain.’ Then finally a nurse came,” Olivia said. But the nurse merely took Olivia’s blood pressure and chatted with the officers in English. Olivia told Rewire.News that no one communicated with her in Spanish. Two hours later, at 4 a.m., a doctor on the premises took a sonogram and asked Olivia about the location of her pain. The doctor concluded she likely had an infection: Olivia had been experiencing contractions and was in labor. Initially, Olivia had to check in with ICE every two months. At her last check-in in December, immigration officials asked her to bring a letter from her son’s doctor, explaining his health issues. After receiving the letter, ICE scheduled Olivia’s next check-in for June. Olivia’s story echoes others, including those reported by BuzzFeed News last July. When Rewire.News asked ICE to respond to the details of Olivia’s story, the agency sent back a link to its new directive for detaining pregnant migrants and a page of frequently asked questions about the directive. The spokesperson for ICE also said the agency is “committed to ensuring that everyone in our custody receives timely access to medical services and treatment” and that “comprehensive medical care is provided,” without going into specifics on what prenatal care entails or how facilities are held accountable if they are not meeting the agency’s standards. Detention centers have standards of care they are required to adhere to, “but depending on the facility, the standards could have been written in 2000, 2008, or 2011, all of which give different guidance on how to address detainee physical and mental health,” including the health of pregnant people, Corinne S. Kennedy reported last month for Commercial Appeal. ICE announced in 2014 that it would implement its standards of care throughout the United States. As of 2019, it doesn’t appear as if all of ICE’s detention centers are operating under the 2011 guidelines, which were revised in 2016. ICE did not respond to questions about the monitoring of those outcomes and how facilities are held accountable. In many ways, the Trump administration’s “zero-tolerance” policy forced more public discussions about the treatment of migrants in ICE custody. This policy has resulted in greater coverage of the conditions in which migrants are being held, including the lack of access to health-care services. Other federal immigration agencies that, like ICE, fall under the Department of Homeland Security (DHS), are no strangers to scrutiny, including Customs and Border Protection (CBP). The December deaths of 8-year-old Felipe Alonzo-Gomez and 7-year-old Jakelin Amei Rosmery Caal Maquin, two Central American children who died in CBP custody within weeks of each other, shined a spotlight on the lack of medical care for newly apprehended migrants who are sometimes held for days in CBP processing centers. Just last month, a 40-year-old Mexican migrant died in CBP custody. During the migrant’s medical evaluation, he “was diagnosed with flu-like symptoms, liver failure, and renal failure,” according to reports. Part of the problem seems to be that CBP has no real medical infrastructure in place, despite detaining migrants for at least 72 hours, as highlighted in a recent New York Times piece by Sheri Fink and Caitlin Dickerson. This can be especially concerning for pregnant people. In an email to Rewire.News, the spokesperson for ICE said that from October 1, 2017, to August 31, 2018, 1,655 pregnant women had been taken into ICE custody. As of August 31, 2018, there were 60 pregnant migrants in ICE custody. Many of these women were processed by CBP before their arrival at longer-term detention facilities. Initially, Bell said, CBP processing centers were meant to quickly identify, classify, and process mostly adult males from Mexico migrating alone before quickly repatriating them to Mexico. Now, some of the largest populations of people processed by CBP are women and children asylum seekers from Central America—and these are populations that have traveled a much further distance, often requiring additional levels of care. Nancy Cárdenas Peña, the Texas director for policy and advocacy at National Latina Institute for Reproductive Health (NLIRH), told Rewire.News that the most common complaint expressed by previously detained people is that they were denied access to medical care while in federal immigration custody. The Daily Beast reported in January the story of Carmen Puerto Diaz, who was detained during a U.S. Citizenship and Immigration Services (USCIS) interview when she was more than five months pregnant. At the time of her detainment, Puerto Diaz told the arresting ICE officer she needed her hypertension medication, which was in her purse. She did not receive that medication and was transferred to a detention center 400 miles away. If left untreated during pregnancy, hypertension can negatively affect the health of the pregnant person and fetus, according to the Centers for Disease Control and Prevention. “Any hypertensive condition can lead to stroke and complications like preeclampsia” for the pregnant person, as well as “growth restrictions and placental abruption” for the fetus, the Daily Beast reported. In Puerto Diaz’s case, she told her husband she had felt dizzy and experienced a headache and palpitations after missing two doses of her medication during her two-day detainment, according to the Daily Beast. ICE says it “secures, stores, and inventories” the medication people have on them when they are detained. Detention center clinic staff—usually employees of a private company that contracts with ICE—are responsible for ordering, dispensing, and administering any prescriptions or medications a person requires while detained. The agency also says that detained immigrants receive a medical intake screening no later than 12 hours after arriving at a detention center, and receive a “comprehensive health assessment,” including a physical examination, no later than 14 days after entering ICE custody. Recent news stories, however, suggest the process is inadequate at best and criminally negligent at worst, as Yahoo News reported. In February, a 24-year-old Honduran woman in ICE custody went into premature labor while six months pregnant. The fetus was stillborn. According to a joint statement from ICE and CBP, the woman was apprehended by Border Patrol officials near Hidalgo, Texas, on February 18. She told the authorities she was six months pregnant and was taken to a hospital and examined, the agencies said. The woman was placed in ICE custody at the Port Isabel Detention Center near Los Fresnos when she complained of abdominal pain and was to be sent to a hospital but went into labor. She gave birth to an unresponsive newborn at the detention center. In response to the incident at Port Isabel and to recent in-custody deaths, CBP is now reportedly in the process of expanding and enhancing its medical support for migrants in custody, according to a spokesperson for the agency. Currently, “any person in custody with medical issues or concerns receives appropriate evaluation, treatment, or referral. 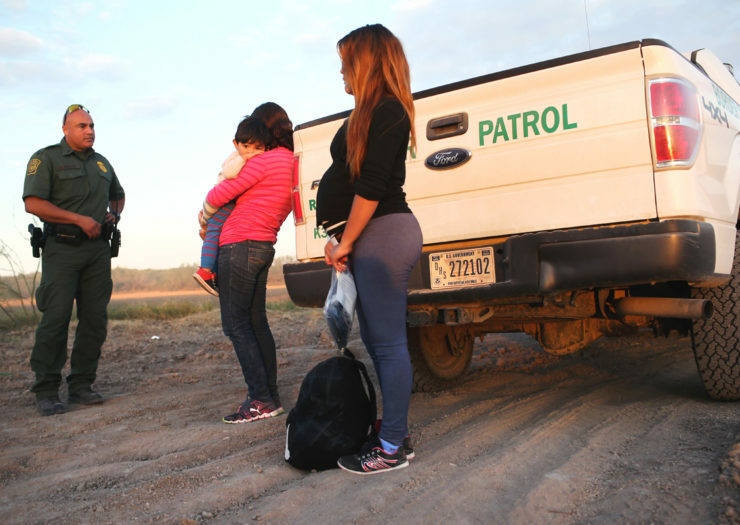 This includes pregnant women, who receive appropriate evaluation, treatment, and/or referral for any potential medical issue whether pregnancy-related or not,” the CBP spokesperson told Rewire.News. But Cárdenas Peña said that the woman who gave birth prematurely in custody to a stillborn should never have been transferred to ICE, but rather released from CBP custody and allowed to access medical care outside of the confines of detention. “This isn’t about a single case; this is about a systemic issue with rogue agencies that keep getting away with dangerous behaviors that put people’s lives at risk,” she added.